Detailed meeting location information and map/directions are located at the bottom of this page. The JGSI meeting facilities at Temple Beth-El will open at 12:30 p.m. for those who want to use or borrow genealogy library materials, get help with genealogy websites or ask genealogical questions from genealogy expert volunteers before the main program begins at 2 p.m. For more information phone 312-666-0100. Our speaker is corresponding secretary of the Jewish Genealogical Society of Illinois and often volunteers at the JGSI help desk. He is a retired IT systems administrator who wrote his first computer program in 1966. He started in genealogy in the mid-1960s, then put it aside. In 1991 one of Barry’s brothers decided to put their genealogy into a computer database, and today the file of his genealogy and his brother’s wife’s genealogy has over 6,400 persons. At each regular JGSI monthly meeting, the help desk operates from 12:30 to 1:55 p.m. Member volunteers access online databases and answer genealogical questions one-on-one for members and visitors as time allows. Susan Weinberg to speak on “A 3-D View of Immigration"
“A 3-D View of Immigration” will be the topic of a presentation by artist, author and genealogist Susan Weinberg at 7 p.m. Monday, May 6, 2019, at the Jewish Genealogical Society of Illinois meeting at Temple Beth-El, 3610 Dundee Road, Northbrook, Ill.
At th is meeting, the JGSI genealogy help desk and research library will operate from 5:30 to 6:55 p.m. Member volunteers will access online databases and answer genealogical questions one-on-one for members and visitors as time allows. Books in the JGSI library, which has more than 800 volumes of interest to Jewish family historians, will be available for perusing. Many are available for borrowing by JGSI members for a limited time. Susan Weinberg's talk “A 3-D View of Immigration” presents a perspective on immigration through the lens of laws, documents and family story. With a focus on the 1900s, she will examine the immigration laws that affected entry, immigration documents that were created with changes in the law and stories of Jews of the 1900s who came to America. In addition to her work in the genealogy community, Weinberg is the author of “We Spoke Jewish: A Legacy in Story,” published by the Jewish Historical Society of the Upper Midwest. Based on interviews with elders from Sholom Home in Minnesota, the book contains stories gathered from Jews who grew up in early immigrant communities, Holocaust survivors who came in the 1940s and ’50s, and immigrants from the former Soviet Union who came in the 1970s through ’90s. Her presentation, using video clips from those interviews, will tell a lively story of Jewish immigration to the United States and the life of an immigrant juxtaposed with the documents and laws that framed that experience. This timely topic offers a perspective on immigration through the lens of family story while providing you with tools to explore your own family’s story. Susan Weinberg is an artist, author and genealogist who focuses her work on family, cultural and community history. In all her pursuits her medium is story. Her research has taken her to the Holocaust records of the International Tracing Service in Germany, to archives in Poland and Lithuania, and to shtetls and towns of Belarus, Ukraine and Poland where her family came from. She created Kehilalink websites for JewishGen for ancestral towns in Belarus and Poland. 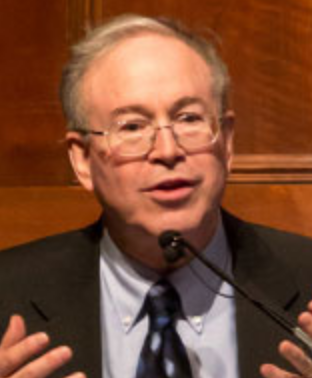 Weinberg is a frequent public speaker and has presented at several IAJGS Jewish genealogy conferences. In Minnesota she serves on the board of the Minnesota Jewish Genealogical Society. As a genealogist, she does research for clients around the world. A one-day conference presented by the Jewish Genealogical Society of Illinois. LARA DIAMOND has been researching her family for 25 years, starting as a middle school student. She has traced all branches of her family multiple generations back in Europe using Russian Empire-era and Austria-Hungarian Empire records. Most of her research is in modern-day Ukraine, with a smattering of Belarus and Poland. As she is an Ashkenazic Jew, she gets to have particular fun with her completely endogamous genome. 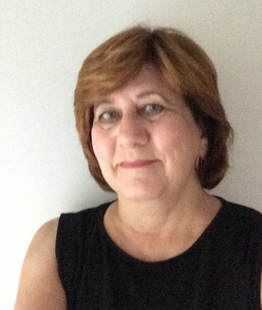 Lara is President of the Jewish Genealogy Society of Maryland, leads JewishGen’s Subcarpathian SIG, and is on JewishGen’s Ukraine SIG’s Board of Directors. She also runs multiple district and town-focused projects to collect documentation to assist all those researching ancestors from common towns. She blogs about DNA and her Eastern European research. GIL BARDIGE has been working on his genealogy since 1979 and now has nearly 1,400 people on his family tree including three branches traced back to his 5th-great-grandfathers born about 1740. His families arrived in Chicago in the early 20th century and were involved in founding Knesses Israel Nusach Sfard (K.I.N.S. ), one of the oldest synagogues on the West Side of Chicago. A member of the Columbus Jewish Historical Society in Ohio, Gil has spoken at a number of local events and international conferences and is a firm believer DNA results can be a valuable tool in genealogical research as it generates clues to help people confirm relationships. Most recently he has managed the mentoring program for IAJGS at its international Jewish genealogy conferences, allowing people to get one-on-one tutoring to help break through brick walls. For the last 10+ years he has expanded his knowledge of genetic genealogy, testing at each of the major DNA companies. Gil currently manages three Y-DNA projects at FamilyTreeDNA as a volunteer administrator. Work with volunteers at a computer help desk. Explore and check out books in the JGSI library. Full brochure available for download here. The Jewish Genealogical Society of Illinois will hold a “Kvell and Tell” session on Sunday, June 23, 2019, as part of the group’s annual meeting. Selected members will take turns sharing family history discoveries and research tips starting at 2 p.m. at Temple Beth-El, 3610 Dundee Road, Northbrook, Ill. Sign-in, networking, and the JGSI help desk and research library will open at 12:30 p.m.
Those who wish to participate in the “Kvell and Tell” session as presenters are asked to send an email to events@jgsi.org explaining their presentation topic idea and estimated time of presentation. Each presentation is to be between 5 and 10 minutes to allow more members to share their discoveries, experiences and suggestions. Kvell and Tell presentation topics should relate to Jewish genealogy, family history research methods, anecdotes or discoveries. PowerPoint presentations are suggested but not required. Copies of informative handouts for those in attendance are also encouraged. This meeting will also feature an annual report from JGSI’s president, Debbie Kroopkin. At most monthly meetings, JGSI meeting facilities at Temple Beth-El will open at 12:30 p.m. for those who want to peruse or borrow genealogy research library books, get help with genealogy websites or ask genealogical questions of volunteer mavens, or network with other Jewish family historians before the main program begins at 2 p.m. For more information, call 312-666-0100. This event is free and open to the public. Hold the date - details to come - Tentatively planning a cemetery tour. Hold the date - details to come for the Sunday, July 21, 2019, meeting of the Jewish Genealogical Society of Illinois. We are tentatively planning a cemetery tour. 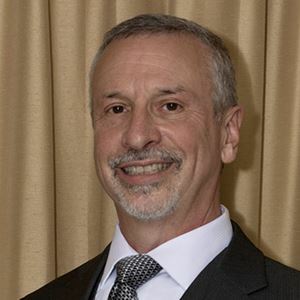 Amateur genealogist Zalman Usiskin will share “More Stories about Things I’ve Learned from Doing Genealogy” at the Sunday, Aug. 25, 2019, meeting of the Jewish Genealogical Society of Illinois at Temple Beth-El, 3610 Dund ee Road, Northbrook, Ill. His presentation starts at 2 p.m.
Sign-in, networking with others interested in Jewish genealogy, and the 800-volume JGSI research library and genealogy help desk will be available starting at 12:30 p.m.
Usiskin has been interested in the genealogy of the various branches of his family since he was a teenager. Over the years, he has compiled family trees on three of his four grandparents with a total of more than 4,800 named relatives. On his paternal great-grandfather’s line he has names of more than 1,000 descendants of Usiskins all over the world but has never been able to definitively verify that any are blood relatives. 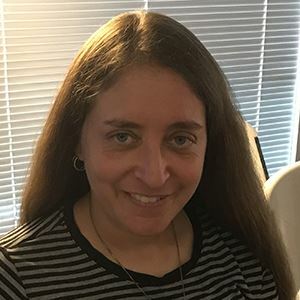 Sarina Roffé will speak on a Sephardic topic at the Sunday, Sept. 15, 2019, meeting of the Jewish Genealogical Society of Illinois at Temple Beth-El, 3610 Dundee Road, Northbrook, Ill. Her presentation starts at 2 p.m.
Mike Karsen will present his very popular annual Chicago talk.at the Sunday, October 27 2019, meeting of the Jewish Genealogical Society of Illinois. Curt B. Witcher of the Allen County Public Library will speak at the Sunday, Nov. 17, 2019, meeting of the Jewish Genealogical Society of Illinois at Temple Beth-El, 3610 Dundee Road, Northbrook, Ill. The presentation starts at 2 p.m.
11 Mar 2018 "Filling in the Blanks on My Jewish Family History"
21 May 2017 Sunday, May 21, 2017 “DNA Presentations"
07 May 2017 Sunday, May 7, 2017: JGSI in the West Suburbs. Agenda:Online tools. 19 Mar 2017 Sunday, March 19, 2017: West Suburban Chapter JGSI: Watch a JGSI presentation called “Genealogy is Easy, Fascinating, and Fun: How I Found the Feldmans”. 31 Jul 2016 Sunday, July 31, 2016 "Specifics of Hungarian Jewish Genealogy - Historical Background and a Practical Guide"
27 Sep 2015 Sunday, September 27, 2015 "Tour of Zion Gardens Cemetery"
19 Oct 2014 Sunday, October 19, "Getting Started in Genealogy"
29 Jun 2014 Sunday, June 29, 2014 "Ethical Wills-Values Handed Down Through Our Genealogy"
27 Apr 2014 Sunday, April 27, 2014 "Why am I stuck? 10 Solutions to Common Genealogical Brick Walls." 16 Feb 2014 Sunday, February 16, 2014 "The Mystery of the Green Dumpster,"
26 Jan 2014 Sunday, January 26, 2014 "From Babylon to Skokie: A Short History of Ashkenazim"
27 Oct 2013 Sunday, October 27, 2013 More, Much More Than Fiddlers on the Roof! Monthly Meetings are usually held at Temple Beth-El, 3610 Dundee Rd, Northbrook. Please check for any changes in venue by reading the event details, which has the event location. The Temple will open at 12:30 pm for the help desk and library. JGSI members will be available to help answer genealogical questions, help with Internet searches, and help in the library. Scheduled programs will begin at 2:00 pm. Link to map showing location of Temple Beth-El. Want reminders about our meetings and events? Email info@jgsi.org and request 'Email meeting and events reminder"
You can now import the downloaded .ICS file into most calendar programs, including MS Outlook, Apple iCal, and Google Calendar. Your calendar program will automatically use the timezone of the event to set the equivalent event time in your calendar. An .ICS (iCalendar) file will be generated containing the event details and a link to the event page. The file will be downloaded via your browser. LINK TO FAQ How to add the file to your calendar.